Visit MSR's Reactor Pot page. 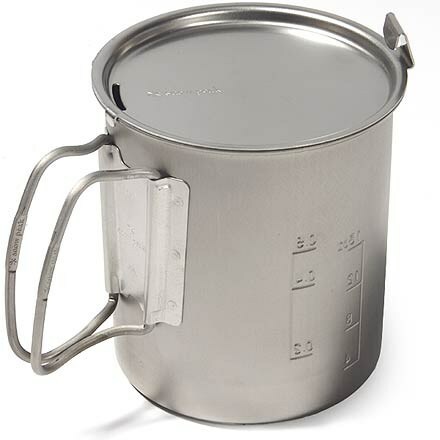 MSR Reactor Pot - The Reactor Pot by MSR is the perfect addition to your Reactor stove, whether your group is larger than expected or you just need another pot. 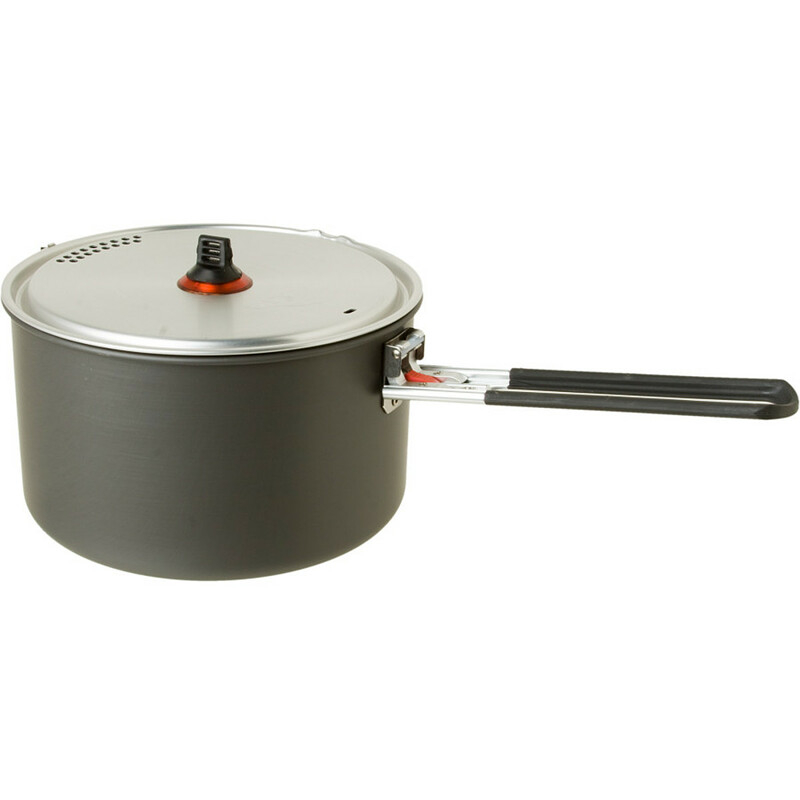 This hard-anodized aluminum Reactor cookware features a proprietary heat exchanger that fully encloses the Reactor stoves radiant burner. The resulting windproof design is key to the stove systems unrivaled all-condition performance. 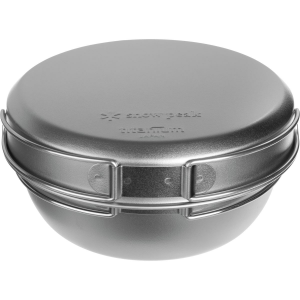 The 1.0 liter pot is perfect for trips with 1-2 people, or anywhere weight and space are at a premium. The 1.7 liter is an all-around performer with the capacity to boil water for two, at once, and melt snow fast. Finally the 2.5 liter is a real expedition snow-melting powerhouse, or get your entire groups freeze-dried on in record time. 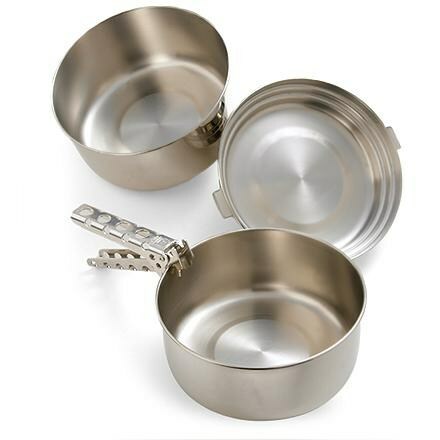 Every size includes a clear, BPA-free strainer lid and folding/locking handle. Reactor Stove sold separately. When your group has had a long hard trek and it is time to re-fuel, don't forget the Reactor Pot by MSR. 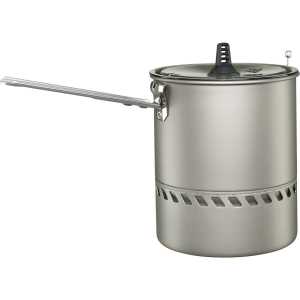 Meeting the needs for larger meals or group cooking, the 2.5-liter Reactor Pot from MSR uses the same convective and radiant heat you've come to love with your Reactor setup and increases the size for larger duties. 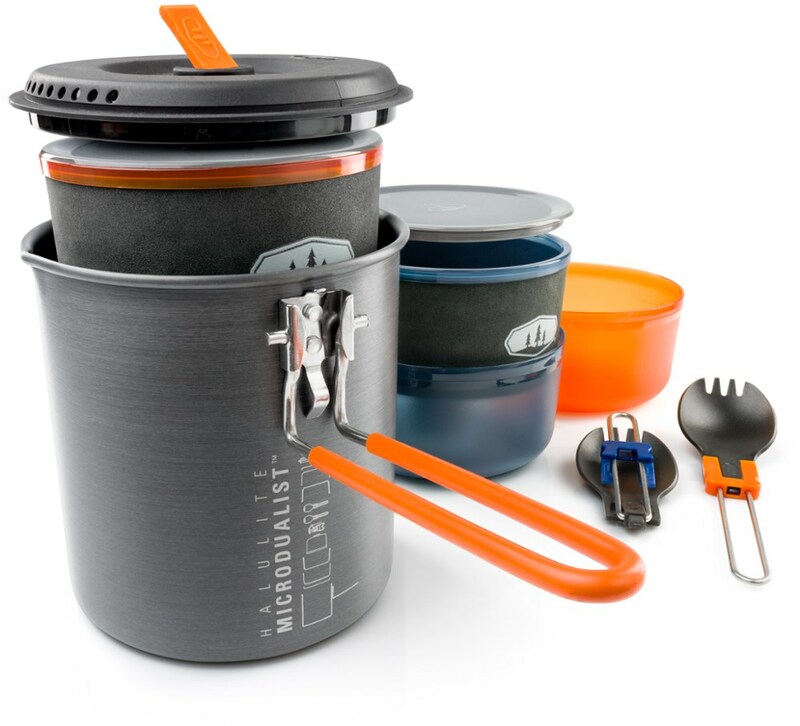 Add capacity without adding extra weight via the hard-anodized aluminum construction - pot includes a BPA-free strainer lid, Talon Pot Handle and PackTowl stove protector. MSR Camp & Hike Reactor 2.5L Pot 2166. The resulting windproof design is key to the stove system's unrivaled all-condition performance. Go light and cook fast with the MSR Reactor 1. 0L Pot. Originally made for the MSR Reactor 1. 0L Stove System, this pot works with the burners from the larger 1. 7L or 2. 5L Reactor Stove Systems for maximum versatility (all stove systems sold separately). 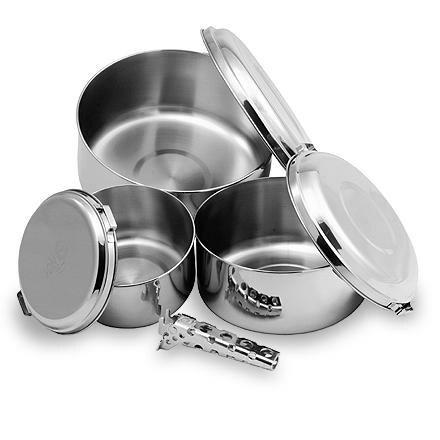 This pot features a see-through top, flip-out handle, and just enough cooking capacity to satisfying a single camper.